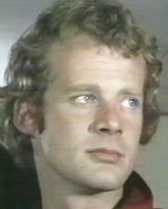 Going back to actors and actresses who could have been in The Pros, Robert Pugh would have been ideal. He played DI Galloway in Woodentop, an ill-fated IRA man in Nighthawks and was also a regular in the early episodes of Casualty. Jon Iles (aka DC Mike Dashwood from The Bill) could have also been in The Pros as his first acting job was from 1979 when the show was very big. Vladek Sheybel was mentioned at the beginning of this discussion and he really should have been in The Professionals. He would have made an excellent opponent for Cowley and the lads. I think if Michael Coles hadn't been available, he would have been a very good Rio in Mixed Doubles. I also believe that Vernon Dobtcheff was also offered a part in The Pros. Vladek Sheybel would have been great as Rio in Mixed Doubles! Has Anton Diffring been mentioned yet? Nope but he would have been really good as well. The actor who played the German businessman in Slush Fund looked like him a bit. 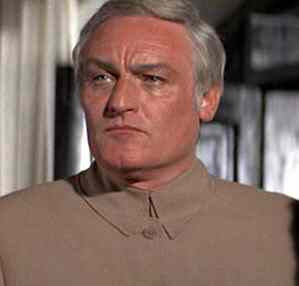 Charles Gray would have been another great guest star. Judging by his turn in the 007 movie Diamonds Are Forever, he could have played a camp, eccentric villain, perhaps the head KGB operative in Spy Probe. Bernard Lee would have also been a top-notch guest star on The Pros. For me, he was the best M in the Bond series. Charles Gray is a good choice. So is Bernard Lee. I agree with dscarter that Bernard Lee is the best M in the Bond series. The best piece of casting in the entire series. He was perfect. Thanks. He was pure class as M. I think Gray would have suited an episode like It's Only A Beautiful Picture. Daniel Peacock could have been in The Pros. I could imagine him as one of Doyle's underworld contacts or a witness to a murder. 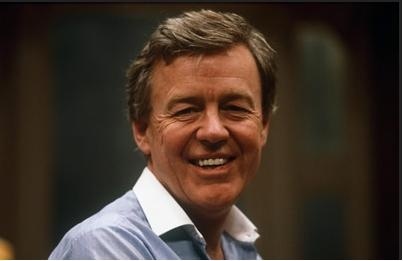 William Gaunt could have played a corrupt politician or a treacherous MI5/6 agent. If the Pros had kept going Ross Kemp would have made a good CI5 instructor, assuming he can act without his bruvva. Or perhaps a 'heavy' in a remake of 'Where The Jungle Ends'. Good point. He could have been a beefier version of Macklin or the Larry Lamb character in Wild Justice. When I watched Thief Takers, I was impressed with Brendan Coyle who played "Bingo" Tate. In another life, he could have played a Bodie type. Katy Manning who took over from Caroline John as an assistant to Jon Pertwee's Doctor. Thinking about Doctor Who, Nicholas Courtney (Brigadier Lethbridge-Stewart) would have been good as a military officer. Jennifer Thanisch who played Suzy Regan in The Sweeney could have also popped up in The Pros. Maybe she could have played that kid's pal in The Gun or she could have been in You'll Be Alright. Richard Heffer would have been good too in The Pros. He played a bumbling politician in the 1987 TV movie The Zero Option which was a bit like The Pros and was the pilot for Saracen. Tony Mathews who was also in The Zero Option would have been another great guest star. He was in Charlie Muffin and played an old pal of Craven's in Edge Of Darkness who broke into a computer bank. Nicholas Courtney as one of Bodie's former commanding officers would have been great. Courtney would also have been an interesting choice as villain of some sort. Some good choices there dsc. Dorothy Tutin was excellent as Anne Boleyn in the Keith Michell Henry VIII series. She was married to Derek Waring who appears in Discovered In A Graveyard. Ronald and Rebecca Lacey playing father and daughter would have been good. I like when real life relatives get cast together. I saw Rebecca Lacey earlier this year in a series 1 episode of The Bill as a video store counter girl.